With over half a million promotional products available, there are lots of options that any advertising specialty professional can help you find. Once you get past the normal apparel, party supplies, fundraiser offerings, writing instruments, and office accessories – what’s left? With a little research, you may find there are many fun, funny, and imaginative products that you and your customers could enjoy. So, dare to be different and try some promotional products that set you apart. Would you like your CEO to promote your next big event? Why not put the top dog in a hot dog costume? You can even have your own custom company mascot. You could even kick off your next sales promotion as Spider-man. You can add LED lights to almost anything. There are LED flashlights, paperweights, and key rings. Bracelets and necklaces that glow in the dark are popular. LED fans are a fan favorite. Or how about LED rings, and who wouldn’t get a kick out of LED lighted ice cubes? There are literally thousands of promotional pens. You can find video and audio recording pens, bingo daubers, and pens shaped like a banana. Do you work in the trades? How about a wrench pen? Or a flash drive pen for the office? If you need to make changes and corrections on written documents, a Houdini erasable ink pen could be handy. A flyable airplane puzzle would be a big hit at the company picnic. It’s made from balsa wood, and it flies! And who wouldn’t enjoy a custom designed scratch-off sweepstakes card? You can give your physician a stethoscope light or your favorite chef a jar of knives. You can order promotion bars of soap, a digital jump rope, or even — I’m serious — a branded DNA testing kit. I wonder what event would be appropriate to giveaway a DNA kit? 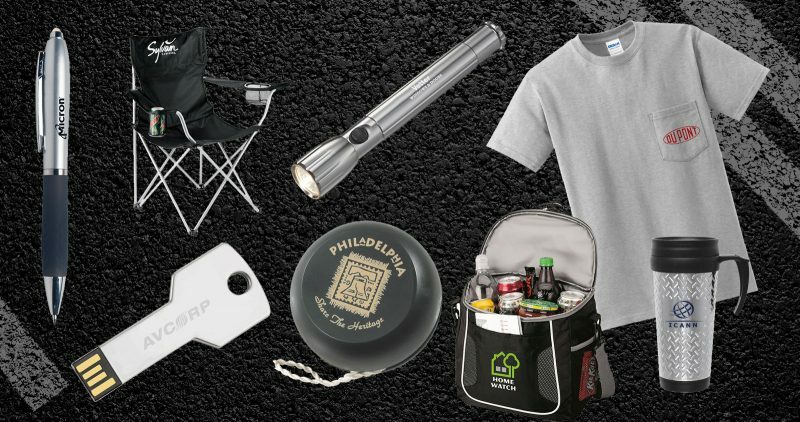 Instead of handing out the same koozie you’ve given away for the last six years (not that there’s anything wrong with a good koozie), why not give the koozie and something a little more adventurous? With thousands of promotional options, you can find products specific to your industry that fit your customer’s needs and have a little fun. What unusual promotional products have you used? If we can answer any questions or be of any assistance please Contact Us. We’d be happy to give you a “different” opinion about promotional products.